We also often add to our pain and suffering by being overly sensitive, over-reacting to minor things, and sometimes taking things too personally. 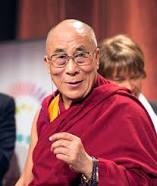 — the Dalai Lama. Here I am writing again about the pebbles in one shoe, the squeaking wheel, and being too sensitive. But I do think we spend too much time worrying about what others think about us and taking things too personally. This is not a political comment, but an observation. I think our President suffers from and thus responds to too many minor things and taking things too personally. Criticism and making fun of our leaders is a national pastime. 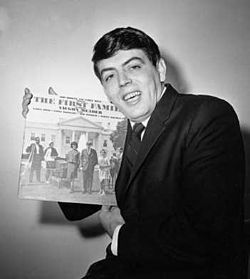 Many of y’all are too young to remember Vaughn Meader and his record album, The First Family, or Chevy Chase mocking President Ford tripping in all the skits on SNL. The ability to laugh at oneself is a gift of God that helps us combat the natural tendencies to be overly sensitive, over reacting to minor things, and taking things too personally. These natural tendencies are part of human nature, but can take over our personality. I bet every one of my readers knows someone who you feel like you have to walk on eggshells around. It’s not easy being around people who take everything personally. When these emotions start to creep into one’s thinking and personality don’t add to your own pain and suffering but devise a plan. It can be as simple as Grandmother Danny’s, “it doesn’t do the think about.” Or you can come up with your own SNL skit. The pain doesn’t ever totally go away, but it sure does make it feel a lot better and a lot more trivial. Next Post: I Won’t Give Up On You!